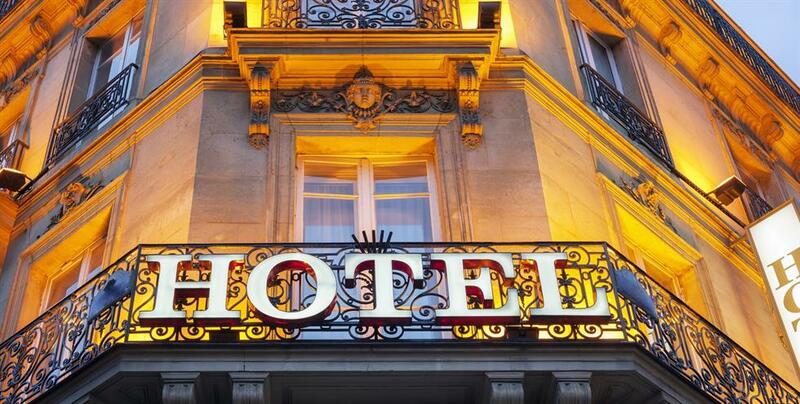 Have you ever considered buying a hotel? It’s a popular means of investing in the ever-growing travel and tourism industry, as well as a proven means of high-end real estate investment. However, unless you’ve personally worked in the hospitality industry, there are likely to be a lot of surprises awaiting you as you start doing your preparatory research. Even if you have worked in a hotel setting before, it makes sense to seek out the hard-earned experience of others who have come before you and have already succeeded as hotel owners. That’s the purpose behind our “Be the Boss” series. In this case, we were able to speak with Anand Patel, a former hedge fund manager who decided to join the family business in 2013 and now owns the Holiday Inn Express in Berkeley, California. As Patel’s company also owns other hotels, including independent boutique properties, his insights can add tremendous value for prospective owners looking to decide between going it alone as an independent hotel owner or buying into an established franchise. How and why did you choose to go with a franchise location in this case? The decision to buy into a franchise can and should be based on a number of factors. Location - “[When building the Berkeley Holiday Inn Express] we narrowed down our choices based on what franchises were already well represented in the area and what we could realistically expect for returns in that location.” Both the prospective owner and the franchisor have a say in whether they feel a particular location is going to work for a given brand. If a location is saturated with existing franchise locations, an independent boutique hotel may be the answer. And how did you arrive at the Holiday Inn Express as the best franchise option? Every franchise operation is set up slightly differently. Every agreement has its own nuances, and every location has details unique to it that can color each agreement in different ways. Parent company reputation - “The top three companies that deliver the most reservations to their franchisees are Hilton, Marriott, and IHG (which includes Holiday Inn and other brands. )” Since a hotel lives or dies on its occupancy rate over time, franchisees — especially those who are just starting out — would do well to stick with franchisors who have historically provided the most assistance in maintaining a high occupancy rate. Hotel type and your goals - “All three of these companies’ brands are in the upper-mid and upscale hotel categories. For our business goals, those are the categories we were searching for.” If your location, startup capital, or other factors lean more toward starting an economy hotel or motel rather than a more upscale location, there’s nothing wrong with that. But it will alter which franchises you consider from the start. Location - “Holiday Inn Express didn’t exist at the time in the South Bay area and the ROI projections were higher.” In this case, although other franchise locations had been established in the area, it was not fully saturated and there was ample room in the market for an upper-midscale location like Holiday Inn Express could deliver. What is involved in franchise financing? Starting any business as involved as a hotel is going to require a significant initial investment. Some level of traditional funding is almost certainly going to be required. Banks prefer franchises - “Most banks want to know right away what franchise you’re going with. If you’re trying to start something independent, they’re going to be more hesitant to fund the project.” That’s not to say it’s impossible to get funding for an independent hotel, but it will likely require a more extensive business plan and research phase as well as some creative funding options. Not all franchisors are considered equal - “Banks are looking for a franchise that’s nationwide, has a strong central reservation system, and that will do national marketing for you.” In most cases, the larger and more established the franchisor, the better chance you have of obtaining funding. In the case of SBA (Small Business Administration) loans, which are very popular funding options in the hospitality market, your franchise company must be on the approved list or loans are denied. What did the initial franchise startup look like? Many prospective hotel owners may believe buying into a franchise involves taking on a turnkey business that essentially starts and runs itself. But that’s not the case. The local rep’s assessment - “Every franchisor has a local representative who will come out and do an assessment of your proposed location, the local market, competition, etc.” The franchise company is just as interested in your success as you are. They can and will let you know if they feel their brand won’t succeed in the location or under the circumstances you have laid out. The application - “You fill out an application that requires a fee of $35,000-$55,000 just to process the application.” After the assessment is completed and the franchisor decides the property can work, you will need to apply and pay the application fee in order to be considered. Again, based on the information supplied through the application process, the franchisor can decline to move ahead with the project. Paperwork and time - “The franchise process can take several months. If it’s new construction [like the Berkeley Holiday Inn Express], city zoning and other important phases of the project can take upwards of a year to go through.” It’s important to understand that starting a hotel — even a franchise location — is not going to be a quick and simple process. Startup costs - “The initial costs are high. But you will get that money back quickly if you’ve chosen the right franchise and the right location.” There’s no getting around a high initial investment when buying a hotel or building one from scratch. But, going back to the importance of planning and making wise decisions early on, the speed and amount of your ROI will depend on choosing the right location and franchise brand going into the project. What does the franchisor do for you? It should be clear at this point that a lot of the initial planning, financing, and operational steps in this process are handled by the owner, not the franchise company. One of the key reasons things are arranged this way is because the franchise companies know that long-term success running a franchise hotel is going to require all the tenacity and skill any entrepreneur must display. They’re not handing business owners anything on a silver platter because that would likely be to their detriment down the road. Early guidance and consultation - “They want to make sure you have your ducks in a row.” The process that goes into starting a new hotel can be complex and confusing. It’s overwhelming for most entrepreneurs. While they’re not going to do the work for you, once you’re committed to a franchise company (and they’re committed to you) their reps and training information will be a valuable source of guidance and consultation during the confusing opening stages. A gameplan for opening - “The franchise will lay out a gameplan for you prior to opening: setting up your systems, plugging you into the international reservations program, offering guidance and resources for furnishings and decoration, etc.” This is where the real value of buying a franchise hotel comes in: you’re able to hit the ground running using a proven, duplicatable system rather than using trial and error to figure out the best way to operate in every minute detail of running your new hotel. As illustrated by the experience of Anand Patel, buying a franchise hotel can be a rewarding and exciting entrepreneurial adventure. However, like any major business decision, it shouldn’t be taken lightly and should be based on plenty of research and intelligent consideration of your business goals, resources, and the various franchise options available to you. If you’d like to review a list of currently available franchise hotels for sale, you can do so here.